Ask any accident lawyer about the use of statistics in valuing personal injury accident cases, and you will get an almost universal answer: they have little or no utility. Yet I’ve never looked away from average verdict data, and I’ve never known a personal injury lawyer who did. Even if you conclude it is useless, you can’t help but be curious. Jury Verdict Research published a 10-year study on money damages in knee injuries. Our law firm has gotten pretty good results in knee injury cases. The study confirms this is for pretty good reason. The average knee injury verdict is $173,552. But with more severe knee injuries, that average jumps higher. The average cartilage and ligament damage jury verdict is $347,831. Conversely, a knee strain verdict averages a mere $70,055. The medical expert’s role in explaining the importance of knee joint and how this patient no longer normal function of the knee is a critical component in how much a jury will award if the case goes to trial. The expert, hopefully, the unbiased treating doctor in a perfect world, needs to be able to take the jury through the x-rays, CAT scans, MRI studies, and the arthroscopic examination of the surfaces of the involved bones. This is a lot easier in knee fracture cases. Many serious knee injuries are soft tissue injuries involving one or more of the non-bone structures of the knee. In car accidents, we see these injuries from trauma to the thigh or shin bone with an opposite force directed against the foot. This causes torque that is transmitted to the knee joint. Jurors hear “soft tissue” injury, and they immediately begin to roll their eyes. They are going to hear the term a lot because the defense lawyer is going to be saying it over and over (although there are trial tactics plaintiffs can use to curtail that nonsense). You need a qualified expert to explain why a soft tissue knee injury is nothing like the whiplash stereotype and how it is an injury that can haunt a patient for the rest of their lives. Another critical thing an expert has to be able to do is articulate all of the long-term effects. The defense expert is always going to have some song and dance about how the degenerative changes like arthritis would have occurred even without the crash as a result of the normal aging process. Our experts need to be able to confront these defenses head-on before they gain currency with the jury. In most cases, the science and the medical records are on our side. 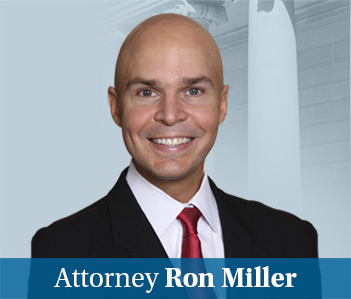 If you need a knee injury lawyer to get you the money damages you deserve, call Miller & Zois at 800-553-8082. We can help solve your problems and work to get you the compensation you deserve for the needless harm that has been done to you. You can also get a free, no-obligation case evaluation online.